Monsanto – Bayer – Syngenta – Freedom For Humanity! Posted on June 22, 2017 by TheLightHasWonPosted in Medicin & Hälsa, Medicine & Health, Monsanto - Bayer - SyngentaTagged Alternative News, Bayer, Bayer-Monsanto Monopoly, Cannabis Industry, Genetic Engineering, GMO Marijuana, Marijuana Miracle Plant, Medical Cannabis, Medical Plants, MedicalMarijuana, Monsanto, Monsanto - Bayer - Syngenta, Waking Times. 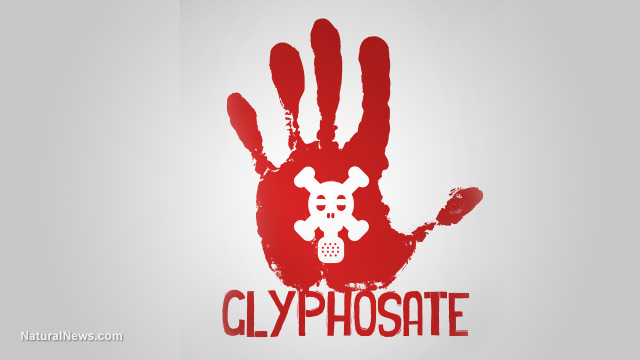 Glyphosate is the major component in its flagship product, Roundup, used both in residential gardens and on farms. By comparison, no glyphosate was detected in tap water, which means the chemical is being ingested through food products. It is in fact, the most heavily used weed killer in history. Now, the California Office of Environmental Health Hazard Assessment (OEHHA) is the first U.S. agency to declare that Roundup, and specifically the major active ingredient glyphosate, is in fact a probable human carcinogen…. Posted on April 14, 2017 April 14, 2017 by TheLightHasWonPosted in Alternative News, Environment & Health, Monsanto - Bayer - SyngentaTagged Alternative News, Bayer, BirthDefects, California, Cancer, Carcinogen, Chemicals, Corruption, Crimes, CrimesAgainstHumanity, CriminalMonsanto, Criminals, Environm, Europe, FarmersFightMonsanto, FoodSupply, GlobalEnvironment, GlyphosatePoison, GMOs, Health, HumansAreFree, Mercola.com, Monsanto - Bayer - Syngenta, MonsantoBuysScience, MonsantoKills, MonsantoPest, MonsantoPoisoningOfMankind, Pesticides, RoundupPoison, StandUpForFarmers, StopMonsanto, ToxicChemicals, ToxicHerbicides, ToxicPesticides. Posted on March 24, 2017 March 24, 2017 by TheLightHasWonPosted in Cancer, Crimes Against Humanity, Environment & Health, Monsanto - Bayer - Syngenta, Organized CrimeTagged Alternative News, Awakening, Cancer, Carcinogenic, Chemicals, Corruption, Crimes, Crimes Against Humanity, Criminals, Environment, EPA, Food, FoodPoisoning, Glyphosate, Greed, Health, HumanitysAwakening, Justice, Monsanto - Bayer - Syngenta, MonsantoPoisoningOfMankind, NaturalNews, nonHodgkinsLymphoma, Roundup, Toxins, WakeUpHumanity, WakeUpWorld. Posted on March 21, 2017 March 21, 2017 by TheLightHasWonPosted in Cancer, Environment & Health, Food & Health, Hälsa, Health, Mat & Hälsa, Miljö och Hälsa, Monsanto - Bayer - Syngenta, PetitionTagged Alternativa Nyheter, Alternative News, Åkrar, BanGlyphosate, Bekämpningsmedel, Cancer, CancerFramkallande, Carcinogenic, ChemicalsIndustry, CleanWater, CountrySide, Environment, EUKommissionen, EuropeanBanOnGlyphosate, EuropeanCitizensInitiative, EuropeanCommission, EuropeisktFörbudMotGlyfosat, Farms, FörbjudGlyfosat, Folkhälsa, GifteriJordbruket, GiftfriMat, Glyfosat, Glyphosate, Hälsa, Jordbruk, JordbruksIndustrin, KemikalieIndustrin, Kemikalier, MedborgarInitiativ, Miljö, Monsanto - Bayer - Syngenta, MonsantoPoisoningOfMankind, NonToxicFood, OgräsMedel, Pesticides, Petition, ProtectPeople, PublicHealth, RentVatten, Roundup, SignPetition, ToxicPesticides, VaknaUpp, WakeUp, WeedKillers, WHO. 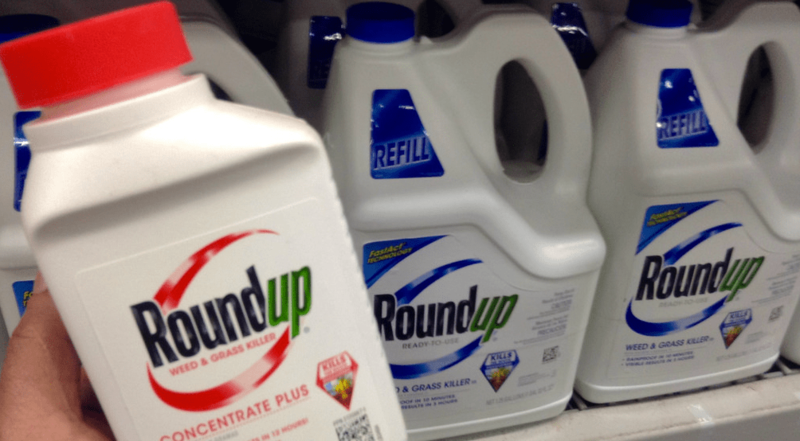 (Natural News) A now-deceased career scientist for the Environmental Protection Agency (EPA) wrote a letter to a colleague that the chemical compound glyphosate, the principle ingredient in Montanto’s “Roundup” herbicide, is far more dangerous than even her own former agency is willing to admit. The scientist, Dr. Marion Copley, D.M.V., who died from cancer, worked for the EPA for three decades until her illness made it impossible for her to continue. In a letter to EPA colleague and Monsanto “mole” Jess Rowland in 2013, two years before a public debate over the carcinogenic effects of glyphosate began, Copley – a senior toxicologist at the EPA’s Health Effects Division – voiced major concerns about how Rowland and the EPA were dealing with the compound. Posted on March 20, 2017 by TheLightHasWonPosted in Environment & Health, Food & Health, Monsanto - Bayer - SyngentaTagged Carcinogen, Environment, EnvironmentalProtectionAgency, EPAScientist, Food, Glyphosate, Health, Herbicide, MagnesiumDeficiency, MineralDeficiencies, Monsanto - Bayer - Syngenta, Roundup, Science - Vetenskap, Toxins, TumorCells, Tumors, Whistleblower, ZincDeficiency. Posted on March 18, 2017 March 18, 2017 by TheLightHasWonPosted in Alternative News, Cancer, Environment & Health, Food & Health, Monsanto - Bayer - SyngentaTagged BioTech, Cancer, CancerNewsMonsanto, Carcinogen, CDC, Chemicals, Crimes, Crimes Against Humanity, CriminalMonsanto, Environment, EPA, Food, Glyphosate, GMOs, Health, Herbicides, HumanKiller, Justice, Monsanto - Bayer - Syngenta, MonsantoCancer, MonsantoCriminalCompany, MonsantoPoisoningOfMankind, Pesticides, PublicHealth, Roundup, Science - Vetenskap, StopMonsanto, UnitedNations, WakeUpAmerica, WakeUpHumanity, WakeUpWorld, WeedKiller, WHO. (Natural News) The following letter from EPA scientist Marion Copley (now deceased from cancer) has surfaced in the unsealed court documents originally uncovered by U.S. Right to Know and posted in plain text at this Glyphosate.news document page. Read the full letter to Jess Rowland (the “Monsanto mole” inside the EPA) from Marion Copley (now deceased, former EPA scientist) to get the full picture. Read the entire unsealed court document that includes this letter at this page on Glyphosate.news. Posted on March 16, 2017 by TheLightHasWonPosted in Environment & Health, Food & Health, Monsanto - Bayer - SyngentaTagged Bribes, Cancer, Chemicals, Corruption, Crimes, CriminalEPA, Environment, EPACriminals, FakeScience, Glyphosate, Health, HealthRanger, MikeAdams, Monsanto - Bayer - Syngenta, MonsantoPoisoningOfMankind, NaturalNews, PublicHealth, Roundup, Toxins.